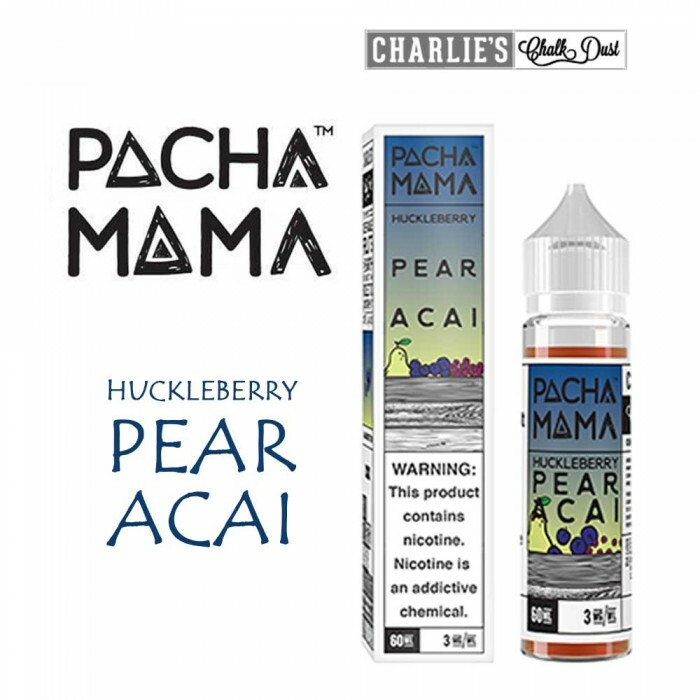 Huckleberry Pear Acai eJuice by Pachamama eJuice (by Charlie's Chalk Dust) has been one of the most sought-after fruit flavored e juice in the entire vaping industry. This tropical blend of exotic huckleberry freshly sliced pears and ripe acai berries is no wonder why so many vapers love this flavor. You can almost imagine yourself on the sands of a tropical paradise.